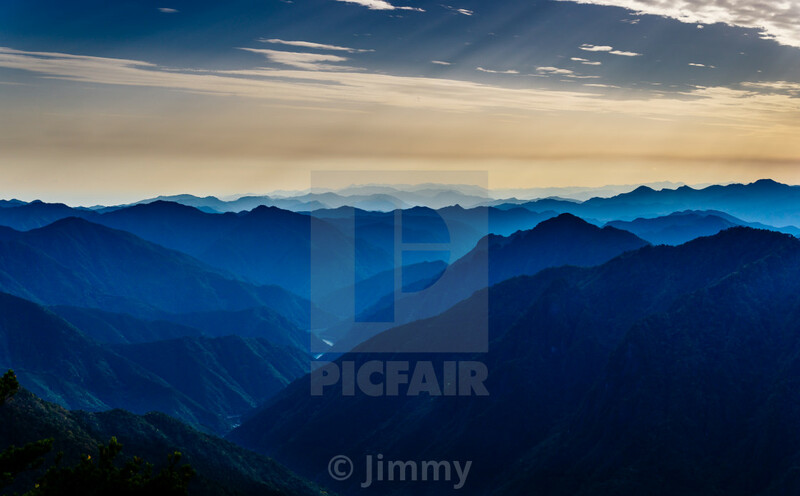 A mountain silhouette seen from the edge of a cliff in Odaigahara (大台ケ原), Japan. This place is approximately 1,600 meters high, and monks go here for training. People who want to cleanse themselves of sin are held over the edge until they repent for their sins. It is also said that you can see Mt. Fuji (which is approximately 430 km away) on a very clear day.